Destin, Florida resorts with a lazy river may not be something that everyone around you talks about, but they will if you take some time to see what this place is all about as you'll tell everyone you know how great this place is when you return. 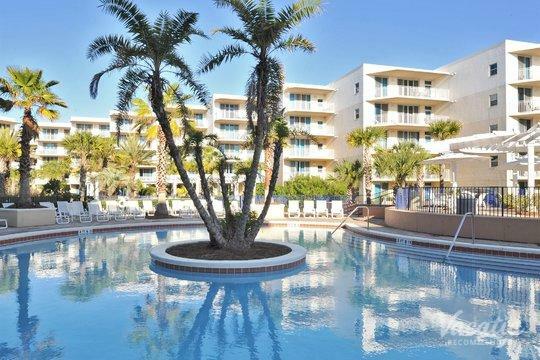 Destin hotels with a lazy river are ready to be booked, and if you're like anyone else these days you would probably find resorts in Destin, FL with a lazy river by browsing online. That said, not all Destin resorts lazy river-style are the same. You need to work with a company that knows how to find the best places at the best prices in the best locations. You need to work with Vacatia. We know what it takes to make a good vacation great. When people book stays in Destin hotels with a lazy river, they tend to get nice beds to sleep in, a nice TV to watch, a clean room, a convenient location and a high level of service including cleaning and tips about the area from staff. When people book stays at resorts in Destin, FL with a lazy river, they tend to get a lot of personal space, perhaps with bedrooms, a living room and a kitchen as well as a higher degree of privacy. 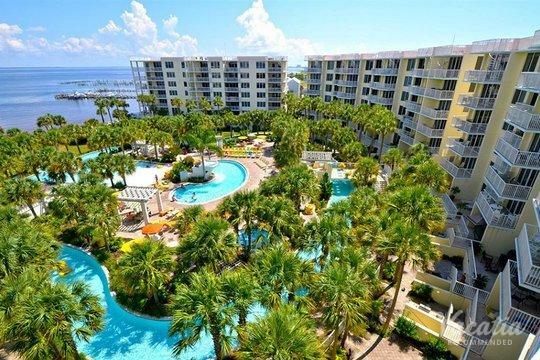 People who work with Vacatia get what we like to call resort residences – Destin resorts with a lazy river if that's what people want that provide all of the comforts of home with all of the services of a hotel. You can have your own space, cook your own meals if you want to on any given day and you can have your place cleaned and get all the service you could want. While Destin may be somewhat overlooked on the world stage, anyone who has been here can't wait to go back. Located in the Florida Panhandle, Destin is known for its beautiful beaches on the Gulf of Mexico. It's also known for its huge array of world-class golf courses and its famous Destin Harbor Boardwalk. There's really no shortage of things to see here in Destin, and the best part is that at the end of each enjoyable day, you get to relax in one of our resorts in Destin, FL with a lazy river cruise if you would like, or by just taking some time to unwind in your own way. Take a look at what Vacatia has to offer and you'll soon be on your way to a dream vacation.